This year’s Varsity Sports Network’s Wrestlers and Coaches of the Year were not only the best on the mat in 2018-19, each accomplished feats that were down right historical in the scope of high school wrestling in Maryland. The winners Chris Barnabae of Mount St. Joseph (Lower Weight), Jason Kraisser of Centennial (Upper Weight), and Co-Coaches of the Year Harry Barnabae of St. Joe (Chris’ dad) and Ryan Mackin of Owings Mills. Chris Barnabae turned heads in several national events with victories over some wrestlers ranked highly in the national polls. He also won his first state title, the MIAA tournament, his third crown at the War on the Shore, his second crown at Mount Mat Madness and placed third at the National Preps. Kraisser extended his family’s legacy of wrestling dominance, winning his fourth MPSSAA state title, joining his brother Nathan as one of only eight wrestlers with four Maryland state titles. In addition, another brother, Austin, owns three and their father Cliff has one, for a total of 12 in the family. 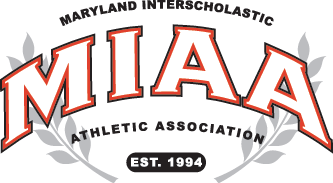 Harry Barnabae’s Gaels completed a three-peat of the MIAA A Conference dual meet title, the MIAA Tournament and Maryland Independent State Tournament. At the states they accomplished something that has never been done before, having all 14 wrestlers place third or higher in their respective weight classes. St. Joe also finished third at the National Preps Tournament and earned a No. 20 national ranking. Mackin and his Eagles snapped Sparrows Point’s streak of 85 consecutive dual meet victories over Baltimore County teams and his team also went on to win the the Baltimore County tournament before qualifying 11 wrestlers, the most of any team, for the state tournament. For the first two years of Chris Barnabae’s career he sat in the shadow of two-time world champion Kurt McHenry from St. Paul’s. Everyone knew Barnabae was talented, but he seemed under-appreciated, overlooked if you will. This year, however, he had his chance to truly shine. Barnabae took flight and put forth his best season to date, capturing his first state crown to go with his second MIAA title. The junior dealt with shin splints throughout the season and was just rounding into wrestling shape when he took the mat at the Walsh Ironman in Ohio in early December. He didn’t reach the podium there, falling one-win shy of that distinction, but he did down Antonio Lorenzo (St. John’s Bosco, CA), by fall, 2:25. The win over Lorenzo, who ended the year ranked 18th in the country by FloWrestling, was Barnabae’s notice that he would be a force to deal with this year. The pin over Lorenzo also signified what would be Barnabae’s calling card this season…pins. Lots of pins. He has led the team in pins the last two years, 39 this year and 40 last year, and has already amassed 112 falls in his career. The Gael pinned Wyoming Seminary’s Lachlan McNeil in the fifth-place bout at the Beast of the East in 52 seconds. McNeil was ranked in the top 10 in the country at the time and finished as the No. 7 wrestler in the nation. The trip to the Beast podium was the third for the St. Joe grappler (8th as a freshman and 6th last year). Barnabae, who was unranked nationally, picked off then No. 1 Trevor Mastrogiovanni (Blair Academy, NJ), 11-4, in the Beast quarter-finals. Mastrogiovanni is the wrestler who beat McHenry in last year’s National Prep finals. The Buccaneer also beat Barnabae in the 2018 prep semis, 11-5. Those exploits pushed the Gael into the national rankings where he ended up No. 9 at season’s end. Barnabae placed third at the National Prep tournament for the second straight year following a runner-up finish as a freshman. He saw McNeil in the semis at preps but could not duplicate the result from the Beast, falling this time 9-7. Along the way, the pin machine captured his third War on the Shore title and second consecutive Mount Mat Madness crown. In the War on the Shore finals, Barnabae pinned C. Milton Wright’s two-time state champion, James Riveira (No. 2 at 120 in the final state rankings by BillyB’s Wrestling World), in the second-period, 3:30. He downed St. Paul’s state champion, Wil Guida, 6-1, in a dual meet this year. A season ago, Barnabae used a major-decision, 10-1, to take out Guida. Another notable win this season was in the finals of the Ocean Lakes Invitational in Virginia, where Barnabae encountered Riley Starcher (Grassfield), who would go on to win the Virginia 6A state title, and pitched a shutout, 6-0. Barnabae, who finished as the state’s top ranked 120lber, defeated No. 3 Shawn Strand (Loyola) for his MIAA and MIS titles, by fall,3:30, and 15-0 respectively. He was so dominant at the end of the season that the 15-0 match with Strand was the only match at the MIAA tournament or states that didn’t end in a fall. He pinned all four adversaries at the MIAA tournament and flattened his four foes leading up to the state finals in 2:02, including two ten-second pins. All the grand stuff Barnabae accomplished pales in comparison to his team winning their third consecutive MIAA A Conference and state titles, along with finishing as the state’s top ranked team for a third year in a row. Chris has been coached by his father, Harry (who was one of VSN’s co-coaches of the year this year), since his junior league days. Surprisingly, Chris was only able to snag one junior league state title in five tries. Other accomplishments include a third place showing at the tournament of Champions in Ohio, taking silver at the Northeast regions in Freestyle, and picking up another silver at the Pan Am Trials in Greco-Roman. He is quickly gaining a reputation as “The guy you don’t want to wrestle.” His brutal and punishing style has taken him up a few notches this year on the national level. The impressive results and high-level performance made the St. Joe star an obvious choice for VSN’s 2019 Lower Weight Wrestler of the Year. Coach and father, Harry, is amazed how time has flown by since he began coaching Chris in the junior league ranks. “The past 10 years have been a blur. Coaching Chris, as with all my sons, has been a real pleasure both as a father and a coach, especially, to see him grow and mature into a real competitor. During this timeframe he has also had a great deal of influence from Chris Combs, my right-hand man in the MSJ room. Coach Combs has been with Chris since day one. Unbeknownst to Cliff Kraisser in 1983 when his hand was raised as the victor of his 119lb state finals match, what was perceived to be the end of the story, was actually just the beginning. That state title was the first of what is now 12 for the Kraisser clan. Legacy tends to be an overused word in sports journalism, but in this case, there is no other way to put it. The Kraisser’s legacy started to grow when Nathan joined the four-time MPSSAA state champion club in 2012. Austin followed a few years later with three titles of his own. Jason stepped on the scene when Austin was a senior and both won state titles. Jason added three more to his tally since to join the prestigious club of four-timers this year. Not to mention oldest brother, Brian, who was a state placer. When Jason was just a middle-schooler, he watched Austin fall short in his freshman season championship quest. Having Austin on that year’s squad was a nice safety net for Jason. Austin pumped him up and didn’t let doubts settle on Jason’s mind. Jason avoided the freshman pitfall and put what is arguably the toughest title (the first as a freshman) in the books. In fact, Kraisser came into the state tournament as the favorite at 132lbs that year with a 36-3 record. The title run that freshman year was magical. The Eagle used an 8-3 win over Stephen Decatur’s Andy McKahan in the finals. To reach the championship bout, Kraisser rang up two pins and a 10-0 major-decision. His only three losses occurred at Mount Mat Madness, where he finished sixth. During his sophomore campaign his only hiccup occurred yet again at Mount Mat Madness where Kraisser placed third, dropping a major-decision, 14-2, to Blair Academy’s Malcolm Robinson in the semis. At MMM, Kraisser was able to avenge one of his losses from his freshman year to Gilman’s Braeden Alevizatos. The Greyhound beat him 8-5 a year before, but Kraisser throttled him in the third-place bout with a 9-0 major-decision. Kraisser would again blank Alevizatos a few weeks later, 2-0, for his second Warpath Invitational title at Franklin High School. Taking a 36-1 record into the state tournament, Kraisser cruised to the finals with three falls (two in the first period), before having to work a bit harder to secure title No.2, 4-2, against Urbana’s Logan Arneson. Heading into his junior season with an 80-4 record, Kraisser had his sights set on reaching the top of the MMM podium. The tournament was the breeding ground for the only losses of his high school career so Kraisser was extra motivated. He had to work hard for it, but in the finals, Kraisser avoided another MMM disappointment and won a tight bout with Haverford’s Chase McCollum, 4-2. Outside of the matches at MMM, Kraisser wasn’t really challenged on the mat during his junior season. His closest bout heading into the state tournament occurred in the region finals with an 11-2 major-decision over South River’s Trenton Puccinelli. He completed his first undefeated season (39-0) using a 16-3 major-decision in the finals against Josh Stokes (Huntingtown). To reach the championship match, Kraisser tallied three first-period pins. The senior season was much like the junior one, ending with a 40-0 record, and another MMM title, a fourth Warpath championship, and the fourth state crown. To capture the MMM title this year, he faced his stiffest test yet since his sophomore season. His finals opponent, Charlie Darracott (Buford, GA), was ranked 18th in the nation by FloWrestling, while Kraisser did not appear in those rankings. Kraisser, who is now No. 20 in Flo’s latest rankings, did what the Kraissers do, and won that match, 9-5. That performance earned him the Outstanding Wrestler award at MMM-an award Austin won as a senior. Outside of another close win, 6-3, in early December over Atholton’s 170lb state champ, Sean Billups, the senior cruised to the postseason and again marched to the state final with relative ease picking up three pins. He would square off with Stokes again, and essentially replicate the previous result, working to a major-decision win, 14-3. After having time to reflect on joining the four-time state champ club alongside Nathan, Jason had this to say. Asked about the nature of the brothers’ relationship. Jason offered that it’s very supportive and about lifting each other up. The VSN Upper-Weight Wrestler of the year is an award that Jason now shares with Austin who was bestowed the honor in 2016. Jason has put some impressive accomplishments on his resume over the years. He was a Junior Freestyle All-American at Fargo, UWW Cadet Freestyle 3rd, NHSCA Freshman National Champ, and 5th at FloNationals. As a junior-leaguer with the Warhawks he put three state titles in the trophy case. The legacy has not been finalized though, as there is another Kraisser, Calvin, toiling away in the junior leagues right now. Jason and Nathan share a prestigious honor, Austin and Jason have won titles together, the family bond is a big part of the Kraisser’s way of life. Cliff reflected on the legacy and Jason’s time in high school. “(I’m) very proud of them (Jason and Nathan). Cool accomplishment, it will be nice to see their names together like that now whenever four-timers are listed. I am so fortunate to get a chance to spend two hours a day with my high school aged sons. How many dads get to do that? It’s great that they achieve a lot, but just being able to spend that much time with them and sharing such a big part of their life is really the biggest reward. When VSN named Harry Barnabae its coach of the year in 2017, it was because Barnabae won the school’s first state title in seven years and captained the team back to the top of the state rankings after a few years of the Gaels being unranked in the state. In the two seasons since, Barnabae has kept his Gaels at the top, putting two more state titles on his resume. The consensus coming into the season was Mount St. Joseph was a very good team. They had a stellar showing at the Beast of the East in December that tipped off the potential of this year’s squad. But what happened at the end of the 2018-2019 season is what propelled Barnabae back to coach of the year status, alongside Owings Mills’ Ryan Mackin. “This is quite an honor considering all the quality coaches we have in the state of Maryland,” Barnabae said. “I would like to congratulate Ryan Makin on his performance with Owings Mills this year. They did a very nice job. On paper, the margin of victory at the MIAA and MIS tournaments suggest this was likely Barnabae’s best team yet. They won the MIAA title by 89.5 points over rival McDonogh and followed that up with a 108.5-point win over the Eagles at the state tournament. In running up that impressive victory total, St. Joe also placed all 14 wrestlers third or higher at the state tournament, a feat that is believed to be a first. The Gaels weren’t done putting up impressive showings yet though, they saved their finest effort for the National Prep tournament where they finished third and placed ten wrestlers on the podium as All-Americans, including one champion, heavyweight Isaac Righter (No. 8 in the country by FloWrestling). The third place showing is a step towards getting the program back to its glory days under Neil Adleberg, Allen Smith, and Paul Triplett, when winning National Prep titles was expected. The task is taller these days with No. 1 Blair Academy and their constant recruiting of the nation’s top-ranked kids and Wyoming Seminary following suit as the No. 2 team in the nation. Those two powers occupy the top two spots in USA Today’s Super 25 final team rankings. The Gaels are back on the national map sitting in the No. 20 spot. They are still being overlooked though, as they finished three spots ahead of No. 5 Lake Highland Prep (FL), at the Beast of the East (4th to their 7th). Locally, St. Joe finished as the state’s top-ranked team for the third straight year. They won the Mount Mat Madness title for the second year in a row, captured their third consecutive War on the Shore crown, and drove home from the Ocean Lakes Invitational in Virginia as champions. Barnabae’s squad also three-peated as MIAA Dual Meet champions with a 40-22 win over No. 2 McDonogh in a January meeting. To kick off the season they dominated the King George Duals in Virginia, winning their five matches by a combined score of 363-23, including a 50-22 win over St. Christopher’s (VA), in the finals. With only four seniors in this year’s lineup the future is bright for the Gaels. With the current run of success, you can bet more of the top guys will be knocking on St. Joe’s door in the future, looking to get in on the action and success. “This is one of the most rewarding parts of our program,” Barnabae elaborated. “To develop wrestlers and the team to the best of their ability. Eight years ago, we began as an unranked team and rapidly moved up to the top over the past five years. Owings Mills suffered a heartbreaking loss at the King of the Mat Duals at Dundalk in January. In the semifinals they dropped a tough match on criteria to Delaware’s Indian River. They came back to take third with a win over Perry Hall. Dual meet wins over Baltimore County opponents piled up in the stat book throughout the year, including a 42-30 victory over rival Hereford. The regular season finale was the test they were waiting for, however. The county dual meet title on the line, set to take place at Sparrows Point. The home squad was working on an 85-match win streak over Baltimore County teams so the task at hand would be daunting for any coach, let alone a rookie one. Mackin won the chess match with the Point’s coach Mike Whisner, that coupled with a few timely upsets and the unthinkable happened in front of the home crowd…the streak was over to the tune of a 37-28 Eagles’ win. “That was a great match,” Mackin added. “It’s cool to get that one back. I think they’ve done a great job building up, kinda being the team in Baltimore County. That’s what you work hard for. Those types of challenges. You could wrestle that match 20 times and get different results each time. We came out on top that night. Mackin didn’t let his team’s success go to their heads and got them refocused for the post-season where they captured their second consecutive 2A North Region Dual Meet crown with a 39-27 over Hereford. Unfortunately, they would be paired up with six-time dual meet state champion Damascus in the first round of the 2A state duals again. This year they fell, 42-32, after dropping a 50-18 match last year. The best was yet to come for Owings Mills though, as they captured the Baltimore County tournament title. The Eagles faced a big deficit as the finals approached. Their six finalists came through with bonus points to propel them to a two-point win. Team scores are no longer kept at the individual region tournaments, but if they were, the Eagles would have been declared the victors of the 2A/1A North. They qualified the most wrestlers for the state tournament of any team in the state with 11. The three state champs they crowned (Alex Dufour, Phil Smith, and Roell Ngounou) at the Show Place Arena were the most of any school in the state as well. Those performances coupled with Diondre Space’s second place finish and Machiavelli Amaya’s sixth put an exclamation mark on the season. “We wanted to put five or six people in the finals and have three or four state champions,” Mackin reflected. “We had three. I think in hindsight looking back on it, it’s one you can be happy with. I think we caught people by surprise a little bit, but I don’t think we were surprised by it. We knew what we were working with. We knew how hard the kids worked. Girch feels he can walk away knowing the program is headed where it needs to, and the right guy is leading the way. “His attention to detail and knowledge of technique is at such a high level that he can change a wrestler’s hand placement and they are able to be successful. He is able to communicate his thoughts and technique in a way that is not confusing and easy for anyone to understand. Girch sees Mackin building special things in the Owings Mills area. He started a program similar to Beat the Streets called Champions That Wrestle. There is a workout aspect to CTW which unfolds at Ground Control, but the bigger side is with tutoring and SAT prep which they are working to have done at the Kumon Learning Center.